A good relationship is at the heart of any procedure. Independent support heighten safety creating beauty in aesthetics. ​GMC Guidance: "You should ask for advice when you treat patients who may need psychological or other expert assessment or support." Cosmetic surgeons and all aesthetic professionals work very hard to make their patients happy with their results. Patient safety is paramount. All cosmetic practitioners (surgical and non-surgical) focus on physical safety. Cosmeticsupport.com works on emotional safety. The definition of aesthetic incorporates mind and body. Beauty will always be subjective. A happy patient is the ultimate compliment to any professional in the aesthetic sector. Clear communication between practitioner and patient is at the heart of a successful outcome. Ask us about workshop or individual session and learn how to achieve better communication. Every patient will have their own hidden expectations. Is an aesthetic consultation the right place to address emotional concerns? Support us to help provide an independent integrated emotional support service for all cosmetic patients. "Patients need opportunities to talk about their motivation, expectation and fears with unbiased and trained counsellors wholly independent of commercial pressures." "It's not easy to recommend counselling to my patients - how do I do this?" Many aesthetic professionals find it difficult to make referrals to their integrated emotional support services. If this is you, please contact us about the services we offer to assist you. Rather than the CBT routinely offered on the NHS, we provide custom integrative patient centred counselling.Alternatively, download my letter here as an example of how to introduce our services to your patients. Cosmeticsupport.com was founded in January 2000 as an independent, non-profit emotional support site for cosmetic patients. The focus by BAAPS and BAPRAS to monitor for potential body dysmorphic patients is a very welcome addition to the consultation process but patients must retain the right to refuse psychological assessment. We understand the issues of BDD, patient and practitioner in relation to the cosmetic interventions sector. Patients have a right to refuse screening. In certain cases, psychological benefit is achievable through surgical or non-surgical intervention. If you would like to discuss this further, please fill out the Contact Form. 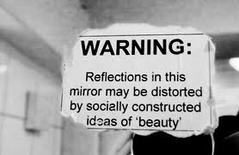 The much misunderstood BDD disorder has suffered both trivialisation and sensationalisation in the media. This creates public confusion. It is neither a simple case of body image blues or a horrific mental disorder which can either be cured by cosmetic surgery or by keeping the patient away from cosmetic surgery. Personal experience certainly gives me important insights about cosmetic surgery results with body dysmorphic disorder but my professional experience enables me to have a broader understanding of the inherent needs in this patient group. With this in mind, I am able to offer tailor-made support packages for both practitioner and patient. Should we leave the delicate art of emotional support to surgeons/doctors/nurses/beauty therapists who already have so much physical detail to explain to patients? Be open and honest with patients and not trivialise the risks involved. Give patients enough time and information before they decide whether to have a cosmetic procedure and allow them time to ‘cool off’. Ask patients to tell them how they have been affected by a cosmetic procedure, both physically and psychologically, and check whether they are satisfied with the outcome. Take particular care when working with children and young people – they should not target people under 18 through their marketing and they should seek additional advice from professionals whose expertise is in treating young people. Seek their patient’s consent themselves rather than delegate it. Market their services responsibly; they should not make unjustifiable claims about the results they can achieve and they should not use promotional tactics that encourage people to make ill-considered decisions. 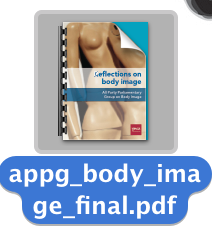 For example, procedures given away as a prize.